Home>New Songs>Family Bvsiness Songs> KXNG Crooked's Family Bvsiness Deliver Bars On "It's Alright"
It's been a minute since Family Bvsness dropped off their Grand Opening EP. Now, the band of lyricists has come forward to drop off a Thanksgiving-centric single, serving up bars over some production from Mr. Porter. Crook, Kenny, Demetrius, Julius, and Dice hold it down over an up-tempo, yet emotional instrumental, with Crook setting it off and reiterating a simple claim: his flow is still formidable, as is his structural integrity. Likewise for his Horseshoe Gang compatriots, who follow up his opening verse with admirable skill. In case you're unaware, Crook has been in the game for decades, and has amassed a wealth of stories; in fact, his tales likely rival those of any rapper, and I had the chance of hearing some of them first hand. Should you count yourself a fan of Crook's work, be sure to catch our interview with the rapper right here. In the meantime, enjoy the latest from Family Bvsness. 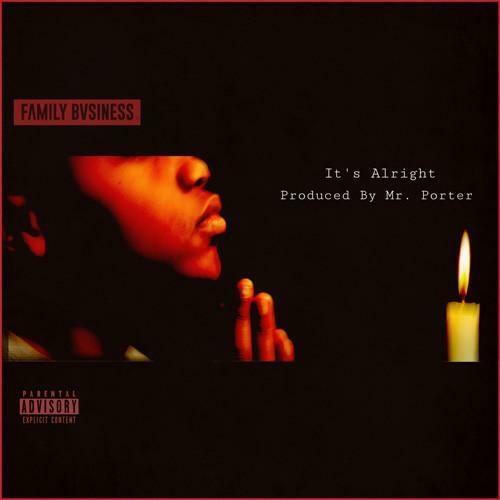 SONGS KXNG Crooked's Family Bvsiness Deliver Bars On "It's Alright"